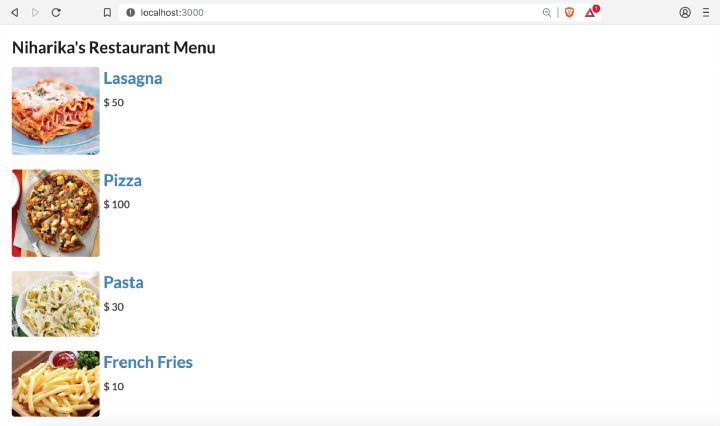 In this tutorial, we will spin around the frontend to our ‘Restaurant-Menu’ app using the very famous ReactJS library and use MongoDB as the database. We will keep it simple by making a GET request to the API we created in Part 1and display the food items on the browser. Are you excited? Well, I am! I’m assuming you’ve already set up the dev environment as described in Part 1.Also, this article assumes basic knowledge of React terminology and ES2015 syntax. If you’re stuck anywhere, here is a really nice tutorial to get started with. In Part 1, we did not write any code so there was no “real” need to use a text editor. In this part, we will be writing a lot of code. So, you can use your favorite text editor or my favourite text editor. This is optional. 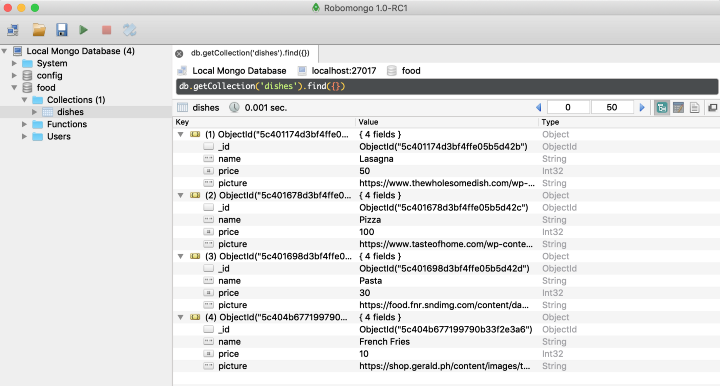 If you wish to have a graphical interface to your MongoDB database, then Robomongo is an essential tool. I personally love it. By default, the loopback API explorer is served on port 3000 and coincidentally, React also serves on port 3000 by default. Both of these ports MUST be different. So, I’ll transfer loopback API explorer to port 8080. This will ensure that React and Loopback API Explorers do not clash. The data we feed into our database will show up in our React web-app when we make a GET request. There are different ways to populate the data. The most appropriate one would be to use the API Explorer. So point your web browser to http://localhost:8080/explorer and make a POST request. This time, I changed the model schema and added ‘picture’ as well so that we have a nice looking app. You can make however many entries with whatsoever dishes! So after making the entries, you can view these on Robomongo. 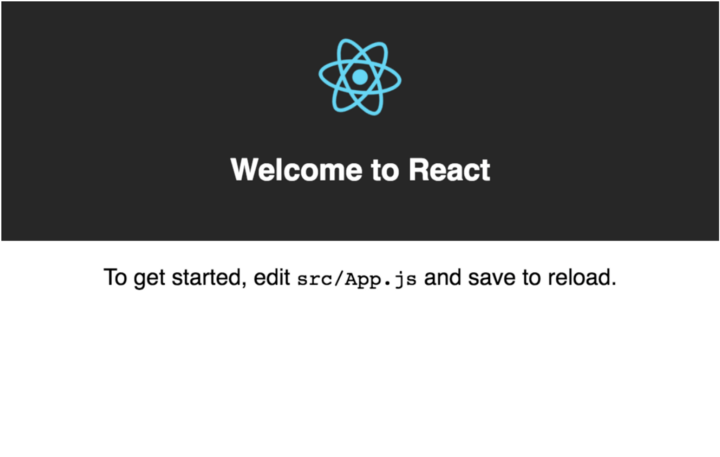 Let’s use create-react-app to create our React web-app. I named my app restaurant-app. 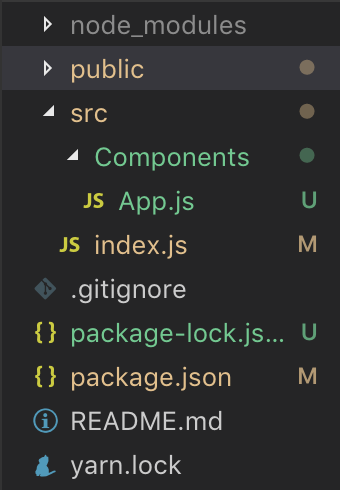 Then run the react app by npm start. This will start the web-app on localhost:3000. In the React boilerplate code, delete the files in src folder. We’d be writing the code from scratch. In this project, I am using Semantic UI. You are free to use whichever library you want to. In the folder of our React project, open index.html file and add a link tag anyhwere in the <head>. So let’s add Semantic UI CDN. Create a new file in src folder named index.js. Create a folder named Components in the src folder. Create a file named App.js in Components. Now if you point your browser to localhost:3000, you should see App Component written on the screen. Fire up your terminal and install Axios. We need to make changes to App.js. This will only display name, price, and picture of the first entry. To make things easier, we will create a new component name FoodItem to reduce code in App.js. In Components folder, create a file named FoodItem.js. Concept of props is used here. In this tutorial, we only focused on GET method. We can even POST more dishes from this console and do a lot more things.